These tomatoes come together in minutes, the sherry gives them a great twist. Campari tomatoes are sold on the vine and are available year round . Nothing will replace a perfect summer tomato, these are the best for off-season. 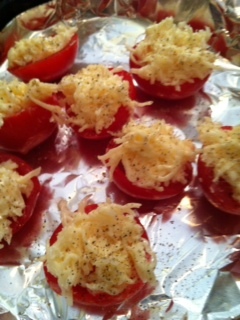 I got my inspiration from a local church cookbook from the ’70’s full of treasured recipes – still good, decades later. I served them on top of a simple green salad. 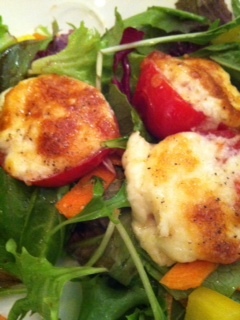 This entry was posted in Recipes and tagged cheese, salad, Sherry, Tomatoes. Bookmark the permalink.